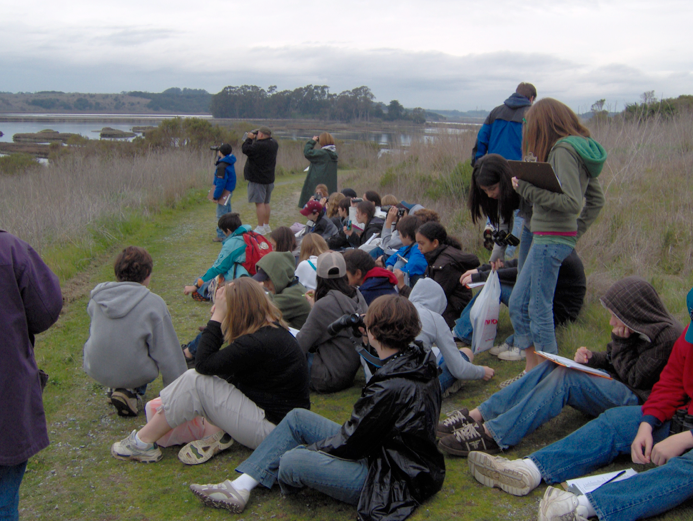 “Life In The Slough” – Examines the unique ecology of Elkhorn Slough. “Elephant Seals” – Investigates the Ano Nuevo elephant seal colony. “Monarch Convention” – Investigates the natural history of the monarch butterfly. “Questions” – Looks at the exciting world of marine research. “Save Our Bay” – Studies the San Francisco Bay ecosystem. “Stories in Stone” – Examines local fossil deposits and what they tell about California’s past. “Sea Searching” – Focuses on the displays at the Monterey Bay Aquarium. “Life Tech” – Focuses on cutting edge advances in human biology and genetics.